As a 27 year resident of Colchester, Connecticut, Robert has dedicated much of his time to volunteering for civic activities and organizations, many of which not only involve the children of the town, but also illustrate his passion for the outdoors. 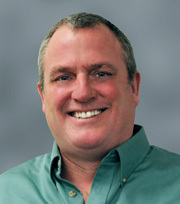 Robert was one of the first students enrolled in Goodwin College’s Associate in Environmental Studies program in 2009. He graduated in 2010 on both the President’s and Dean’s Lists, and was inducted into the Phi Theta Kappa Honor Society as well as recognized for his hard work with an award for academic excellence. From 2007-2009, Robert took on several volunteer roles. One of those roles was treasurer for the Colchester Cooperative Nursery School, a non-profit, non-denominational nursery school licensed by the State of Connecticut. Robert assisted in the preparation of the operating budget, set the tuition cost per student, set up payment plans for the parents of the children attending the school and set up a payroll system for teachers who received a salary rather than an hourly compensation. He was also responsible for providing access to the Colchester Fish and Game Club for school functions as well as advocating for free tuition for a family who had recently suffered the loss of their father. At the same time, Robert also served on the Colchester Open Space Commission. Much of his work there involved offering suggestions to the town selectmen on properties that were available for purchase. Robert’s involvement with local schools continued when he became a parent volunteer in 2008 at Jack Jackter Elementary School. Once a week, Robert worked with second grade students on reading and with third grade students on math. During the reading workshop, students read to Robert from a book and prepared a picture and explanation of what they read. Robert then evaluated their progress based on set criteria. The math group allowed Robert to work on math problems prescribed by the teacher with more advanced students. One of the most creative volunteer roles Robert took on began in 2009 when he became a team advisor for the Colchester LEGO® Robotics Rockin’ Robots, a high-tech workshop that teaches children more about math, science, computers, engineering and most importantly, teamwork and responsibility. Robert’s team currently consists of five fifth grade boys whose ultimate goal is to advance to the annual FIRST LEGO® League Competition. Robert meets with the boys twice a week starting in October to begin designing and building a robot that will perform a series of tasks on a course designed by LEGO®. Each season contains a different theme that allows the boys to recognize a problem and offer a solution based on the theme. The team programs the movements and operation of the robot on a computer using a fairly complex program. Under Robert’s guidance, his team has built two robots using the LEGO® Mindstorms® software and hardware, and worked on a project that included a solution for carpal tunnel syndrome as well as one that included a suggestion to improve the labeling of expiration dates on food products. In their first year, the team advanced from a regional competition to a state level competition held in Hartford, Connecticut. Robert’s longest volunteer role has been his position as committee chairman for the Annual Kids Fishing Derby at the Colchester Fish and Game Club where he has been a member since 1990. His work as committee chairman started when Colchester could no longer sponsor the town-wide event. The Fish and Game Club then took over the event and held it for the children, grandchildren, nieces, nephews and friends of its members. Robert began leading the Derby in 2001 and has been bringing families together ever since. This year, Robert is also volunteering for a Little League team called the Phillies and helping with field preparation, the scoreboard and practices. He also serves as a peer tutor at Goodwin College for chemistry students. In addition to all of his volunteer efforts, Robert is employed at TRC Environmental Solutions as an Industrial Hygienist/Project Scientist. Some of his responsibilities include inspecting buildings for the presence of asbestos and lead, monitoring the removal of hazardous materials and the demolition of buildings and performing air quality, noise and safety audits at various locations.